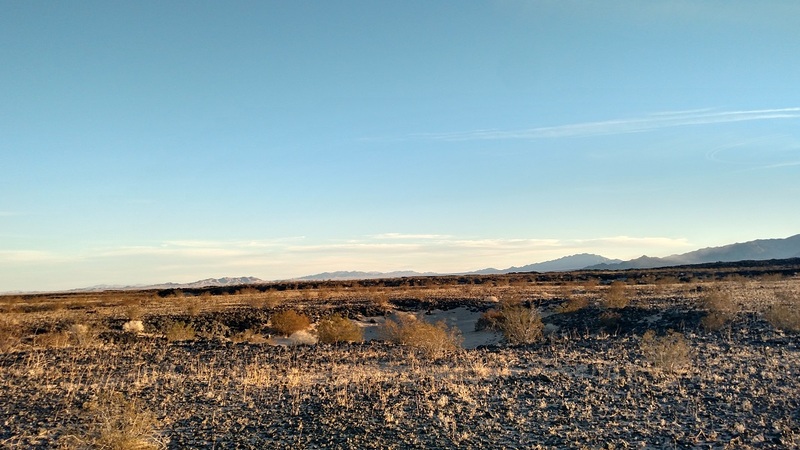 Location: Mojave National Preserve between Barstow and Needles. From Barstow, take I-40 east for 50 miles to exit 50. Turn right and make a quick left on to National Trails Highway (also signed as county route 66 – a former segment of US Route 66). Head east for 26.4 miles to Crater Road. Turn right and follow Crater Road half a mile to its end at the parking area. From the east, take I-40 to Kelbaker Road (exit 78, about 62 miles west of Needles). Turn left and follow Kelbaker Road south for 11.5 miles to National Trails Highway. Turn right and follow National Trails Highway for 7.7 miles to Crater Road. Turn left and follow Crater Road half a mile to the end. 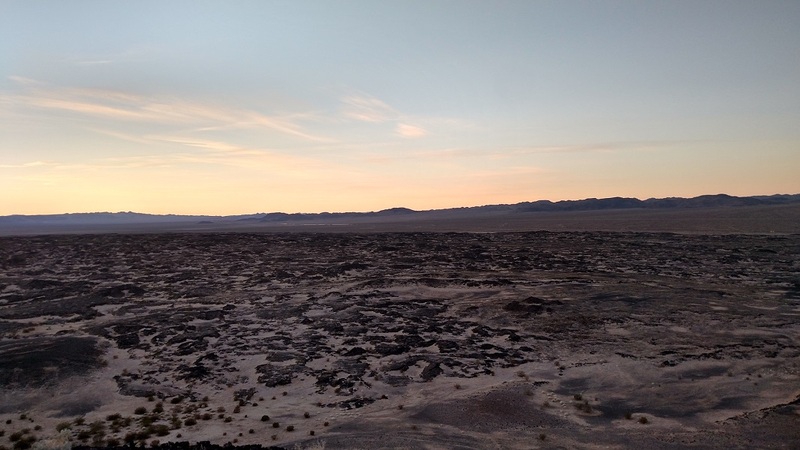 Camping/backpacking: None (for information about camping elsewhere in the Mojave National Preserve, click here). San Bernardino County is the country’s 12th most populous, with a little over 2 million residents. Those people, however, are spread out over 20,000 miles – a land area greater than any other U.S. county outside of Alaska and larger than nine states. Long story short: once you get outside of the densely populated southwestern corner of the county, there’s a lot of room to move around. The 1.6-million acre Mojave National Preserve occupies much of the desert wilderness between Barstow and the state lines. 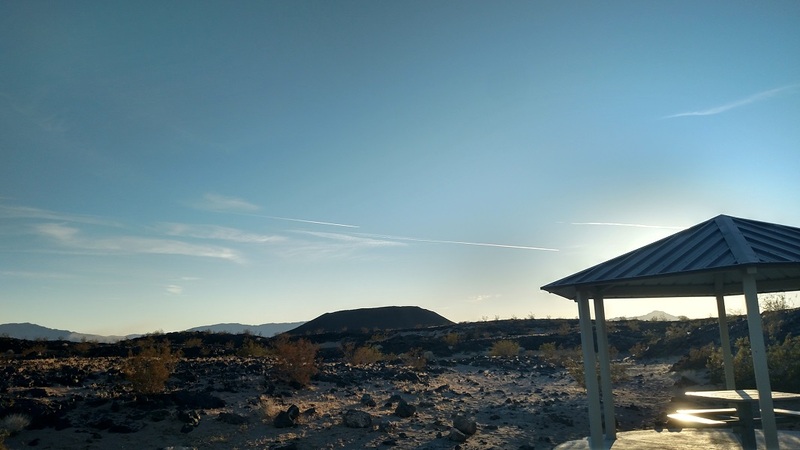 One of the preserve’s more accessible attractions is Amboy Crater, a cinder cone formed by an extinct volcano last thought to have erupted 10,000 years ago. 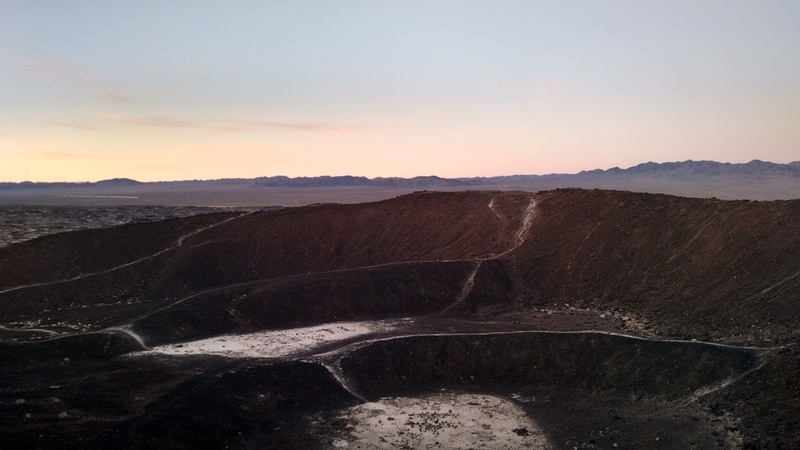 Those bound for Needles or Laughlin can visit the crater with a short detour. 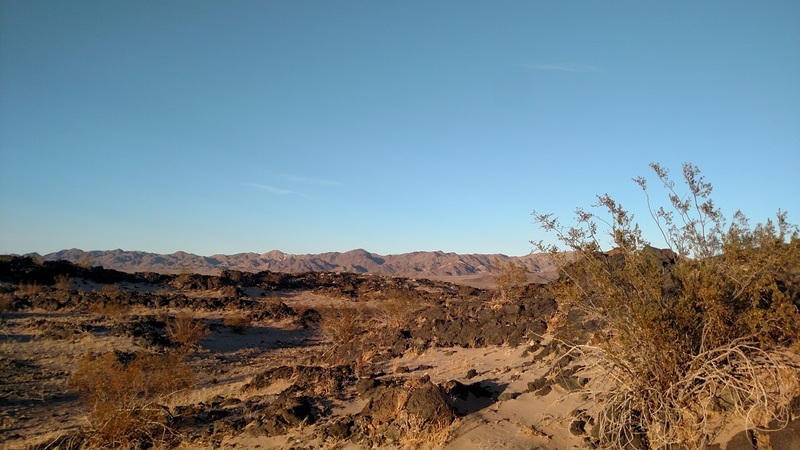 The crater is a convenient stop for hikers visiting other sites in the Mojave National Preserve and it is about an hour’s drive from the Twentynine Palms area. Despite the remote, unforgiving landscape, the hike is not difficult – but remember that even short trails in the desert can become dangerous during the summer. 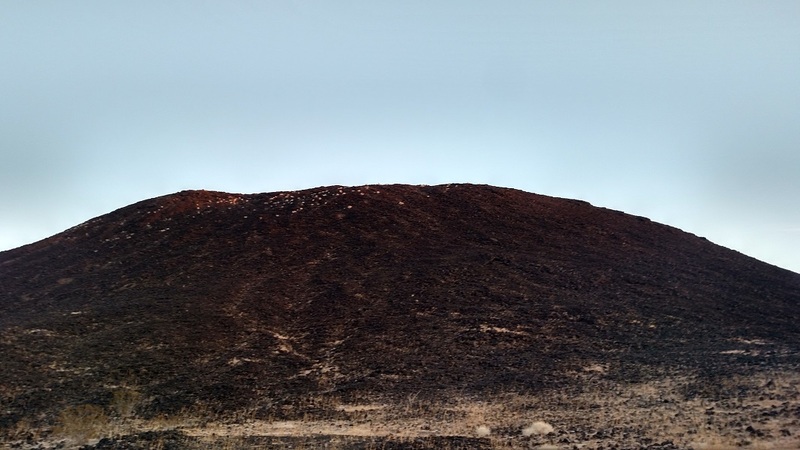 The cone rises nearly 300 feet above the desert floor and is visible from several miles away. The well-marked trail leaves from the southwestern end of the parking lot (a shorter, wheelchair-accessible trail leads to a vista point). 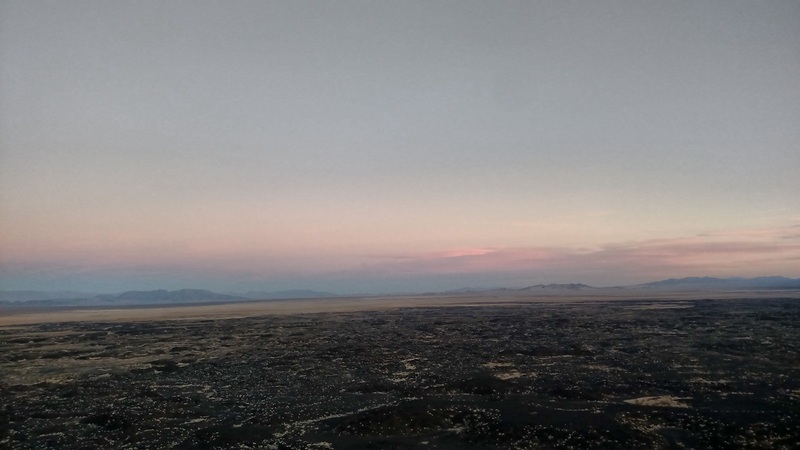 Follow the trail southwest for 1.5 miles through the lava bed, enjoying unobstructed views of the desert. The only signs of civilization are the nearby train tracks and the occasional car passing by. Two shade structures provide places to sit and take in the scenery en route. The trail skirts the northwestern side of the crater and then reaches a breach where it climbs inside. 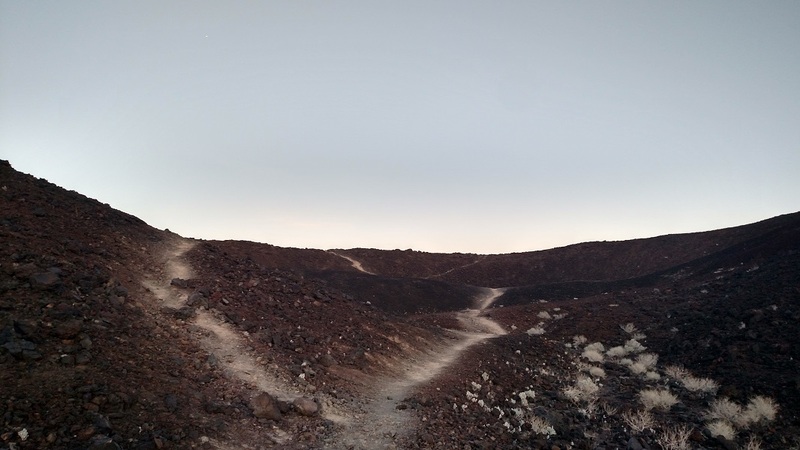 A half-mile “trail” follows the rim of the crater. The views are great in all directions, particularly of the rugged Coxcomb Mountains to the south. The trail is little more than a foot wide in spots and the drop-offs are sharp, so exercise caution as you negotiate the rim. A steep use trail on the south side of the crater leads directly down into its center. From here, head west out of the crater, back to the trail and retrace your steps.